In the present study, stable chitosan nanoparticles (Ch-NPs) were developed using the ionotropic gelation method, where poly(sodium 4-styrenesulfonate) (PSS) was used as a cross-linking agent while polyglutamic acid (PGA) for functionalization to improve the oral uptake through calcium-sensing receptors and amino acid transporters present in intestinal epithelium. Formulation was optimized by the design of experiments (DoE) approach using a three-level central composite design and characterized for in vitro parameters such as morphology, particle size, polydispersity index (PDI), entrapment efficiency and zeta potential. Morphological analysis demonstrated the formation of spherical NPs with particle size, zeta potential, and entrapment efficiency in the range of 210 nm ± 2.8 nm, 18.1 mV ± 0.14 mV, and 85.9% ± 0.28%, respectively. The developed NPs exhibited sustained release at different pH conditions and almost threefold higher uptake in comparison with non-functionalized NPs in Caco-2 cell uptake studies. 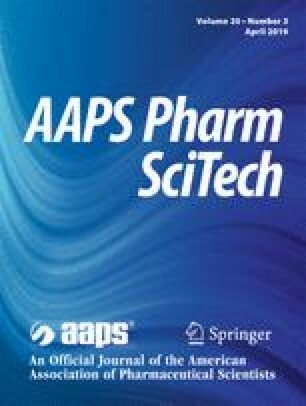 In vivo studies in diabetic animals demonstrated low levels of plasma glucose for almost 24 h. Pharmacological availability (PA) of insulin administered through Ch-PSS-PGA NPs (17.28 ± 0.9) was significantly higher as compared to that of insulin administered through control NPs, i.e., Ch-PGA NPs (10.9 ± 1.5) and Ch-PSS NPs (12.9 ± 1.8). Data on hand suggest the ability of the developed NPs in overcoming the poor stability and, thus, poor therapeutic efficacy following oral administration. The authors are thankful to the Director of the National Institute of Pharmaceutical Education and Research (NIPER) for providing the infrastructure facilities and to Mr. Rahul Mahajan for the technical assistance in the SEM analysis.